Great Black-backed Gull never seem to miss an opportunity of a meal. 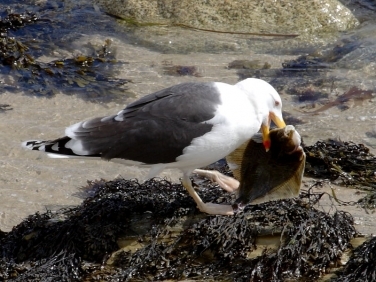 This gull saw a Flounder in the clear waters off Castle beach, Falmouth and managed to reach it in the shallow water and drag it ashore. 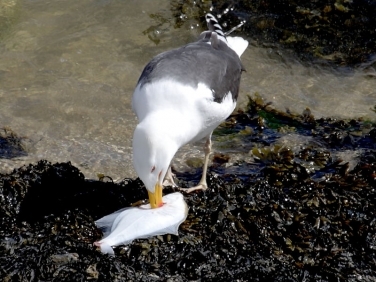 With lots of these large predatory gulls around the chances of many of the ducklings already hatched and swimming around the inner harbour do not look good.